Diane began her insurance career in 1991 in David City, Nebraska and is licensed in personal, commercial and life and health insurance. 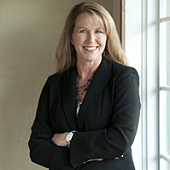 Her dedication to her clients provides them with personal service for their insurance needs. She understands that a client’s insurance exposure may change numerous times throughout their life and enjoys the challenge of finding a competitive product to meet this need. In 2004, Diane moved her insurance book of business to Schuyler where she and her husband Mark now reside. In the fall of 2013 she added her CPIA (Certified Professional Insurance Agent) designation. Diane is active in the community. While in David City, she served on the Aquinas Alumni Board, Chamber of Commerce Board and was involved in the Chamber Ambassadors and St. Mary’s PCCW. In Schuyler, Diane enjoys being involved in the Lake Socorro Homeowners Association. She is a Schuyler Sertoma member and was Sertoman of the Year in 2011. She also serves on the Colfax Foundation Board and is a lifetime member of the Nebraska Airboaters Association. She currently holds the secretary position for the Schuyler Sertoma and the Colfax Foundation. In her spare time, Diane and Mark enjoy spending time with their children and 14 grandchildren. They enjoy airboating on the Platte River, gardening and working in the flowers and yard and sharing their home with family and friends. In quiet moments, you can find Diane reading, crocheting or hanging out with her cat, Charley.